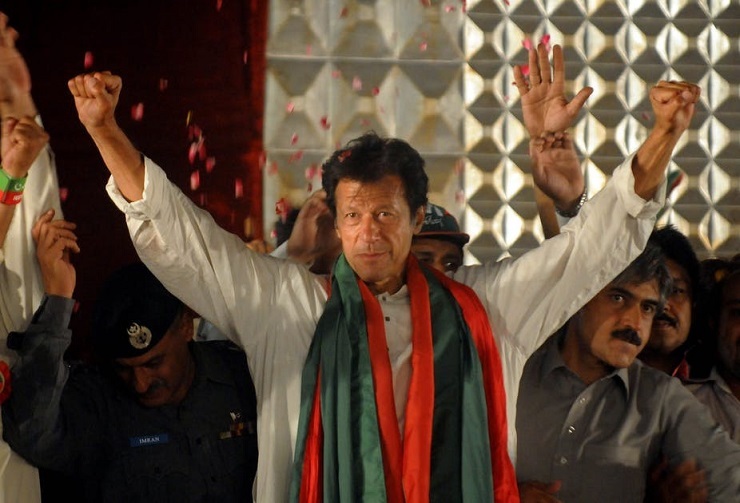 The election of Imran Khan represents a turnabout in policy in South Asia in ways few expect. Khan will close the door on America’s longtime policy toward the Caspian Basin, a policy of dominance, regime change and military colonization. That policy will die a needed and painful death. First of all, where no Pakistani leader ever could before, Khan will reach out to India. 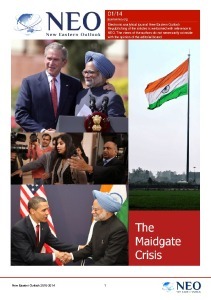 India’s Modi continues to push for strong suppression of Muslims in Kashmir and a wartime footing against China. India, only recently, shelved their cooperative deal with Russia to develop a 5th generation fighter aircraft in favor of buying “off the shelf” technology, possibly from the US. The longtime military technology cooperation between Russia and India has been an unrealized buffer that has quelled hostile rhetoric between China and India, the burgeoning economic superpowers of the Silk Road. The Silk Road, which will tie China and Germany with branches to South Asia, the Caspian and Caucuses, Turkey and Iran, even Afghanistan, will supplant all economic influence from the US and Saudi Arabia. What is also clear is that a regional economic community that spans Europe and Asia will quell the manufactured conflicts, fake terrorism and regime change tactics that America under Deep State leadership has turned to time and time again. Toward this end, the election despite American and Israeli attempts to smear Imran Khan, of a Pakistani leader finally willing to cut ties with Wall Street and Tel Aviv, will signal a new age. This is particularly important in that Pakistan is the world’s only Islamic nuclear power as well. Pakistan has long propped up Saudi oligarchical rule, efforts that have allowed Saudi Arabia to war on Yemen and openly join with Israel to support ISIS and al Qaeda and manipulate America into planning a sneak attack on Iran as well, or so recent leaks have announced to the world. In the end, the alignments achieved during Syria and Iraq’s successful wars on Western backed terrorism, may well provide a platform for not just trade but regional security as well. 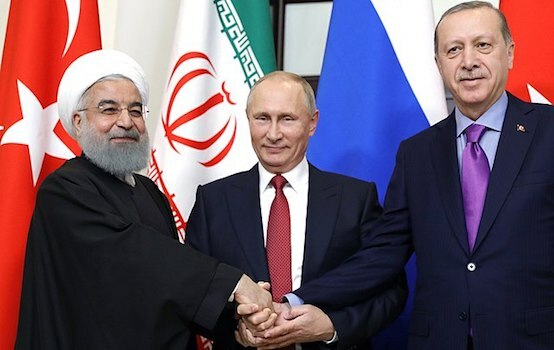 Therefore, splitting Turkey from Iran and Russia, the Astana powers, is a prime policy consideration for the US. As Turkey becomes increasingly distant from an American controlled NATO, particularly with Erdogan deeply concerned with America’s love affair with radical Gulanites he believes responsible for what he also considers a CIA backed coup against him in 2016, a durable economic and mutual security agreement between Turkey and Iran are likely to follow. Similarly, with Turkey’s moves to modernize its own military, making it less dependent on covert technology transfers from Israel, that relationship, one that Erdogan now believes has been poisonous to Turkey, will disappear, or so many now believe they are observing. The key to regional security, and this is where Imran Khan comes in, will be Pakistan’s possible role in bridging the gulf between China and India. With the broad economic partnership that Khan speaks of with India, Pakistan’s military partnership with China will not only become less important and less of a threat to India but will likely evolve into a stabilizing influence for the region. With Khan’s Pakistan in play, free of Western control, free from the threat of India, Pakistan can assert its role as peacemaker in Afghanistan. Pakistan can also provide a regional buffer to threats against Iran as well, particularly if Khan chooses to develop trade relations in defiance of Deep State sanctions intended to crush Iran. Pakistan is not susceptible to American intimidation with an economy that has long suffered from globalist exploitation. With Turkey, Canada and Germany increasingly skeptical of the benefits of NATO membership and Britain in political free fall resulting from both Brexit and the machinations of Boris Johnson and his Deep State handlers, America’s role as global policeman will become increasingly untenable. Part of the motivation for restructuring Pakistan is the level of corruption tied to Western interference that has long ground that nation into the dirt. The gulf between rich and poor in Pakistan, as with so many nations, has increased even though Pakistan is free of hereditary elites and “oil Princes.” The “pie” as it were, in Pakistan has always been a small one with the seeds of corruption tied to Pakistan’s post-colonial embrace of British traditions of elitism and tolerance for human suffering. Imran Khan has said he will bring this to an end with his promise of a welfare state financed through a crackdown on tax cheats, corruption and fraud. The end result, regionally, if his policies prove their efficacy, will be a stronger role in regional trade and a strengthening of a Euro-Asian global order dependent on humanistic values and real economic advancement. The model chosen by the European Union, in juxtaposition, the concept of taxing Britain, France and Germany, to underwrite unrealistic currency and lifestyle “enhancements” for less productive nations, the rational for Brexit, is long dead. What we will watch for, of course, is whether Khan means what he says and if his policies, considering the deep-seated nature of corruption in Pakistan, can be implemented. If so, a model state may well emerge, one that might lead to realistic reforms in Egypt, Afghanistan and even Iran. What must be recognized is that democracy, as proven in America most recently, cannot survive war, or threat of war. Given this, it isn’t difficult to note how easily events are manipulated and to what end. That end, for Europe and Asia, will be 7000 miles of economic partnership and mutual security, an end that will only be achieved if those who oppose global security are recognized, exposed and blocked in their efforts.